I love sweets and one of my favorite cookies are black and white cookies you buy in a Bakery or Supermarket. I have not always been into flavored coffee. I like my regular strong bold (no flavor) coffee. 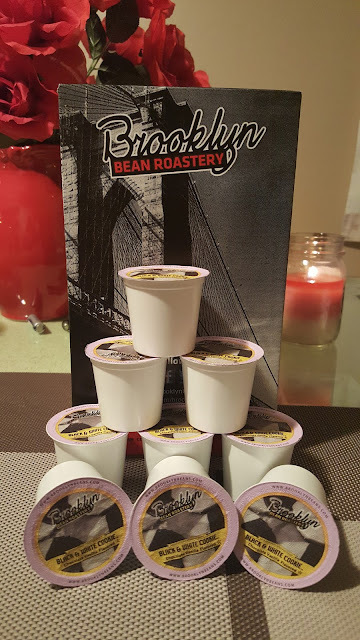 Just recently I have tried Brooklyn Bean Roastery flavored coffee's. I have to say I am really enjoying the different flavored coffee's and how good they taste. I taste of both flavors of the cookie and it is delicious. A smooth rich blend of distinct taste of Black and White Cookies will have you think you are eating a cookie without the calories !! I love Brooklyn Bean Roastery coffee. They offer so many different blends and I tried the Single Cup Coffee for Keurig K-Cup Brewers. 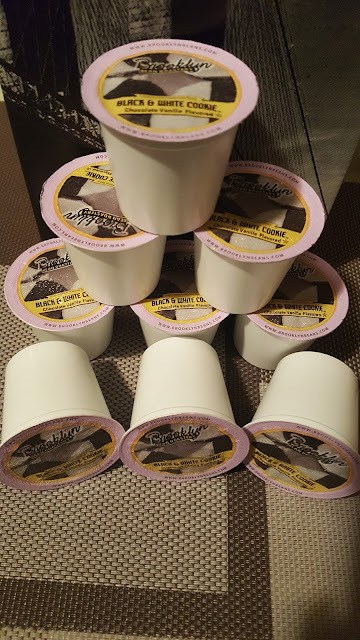 If you would like to try the Black and White Cookie coffee you can buy it on Amazon. A smooth rich blend of distinct taste of Black and White Cookies will have you think you are eating a cookie without the calories !! You can order from their website or purchase through Amazon. I am a BROOKLYN GIRL !! Born and raised in Brooklyn. I have to say there are many great companies in Brooklyn but Brooklyn Bean Roastery is the best and known for their fabulous coffee. This is a #sponsored post. All words and opinions are my own. I reviewed Brooklyn Bean Roastery coffee. Sold. I love flavored coffee and I'm always looking for new flavors. Cookies? Yes please! This sounds like it would be supper yummy. I'm not a big coffee drinker anymore, but this would be nice to have around. ooow another one to recommend to friends who have cureggs. I've never tried this brand before. But then again, I don't often drink coffee! It sounds amazing though!